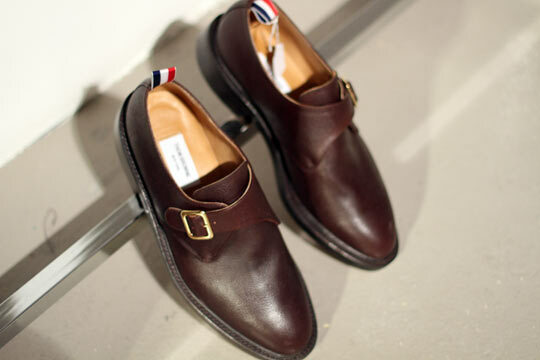 Here’s a look at Thom Browne‘s monk strap leather shoes, for fall/winter 2011. Available in brown leather with leather sole and Browne’s tricolour branding on the sole, they’re a nice smooth and smart alternative to your lace-up dress shoes. Look out for them in the coming months. This entry was posted in Footwear and tagged Thom Browne. Bookmark the permalink.